Your budget should not be a factor that restricts you from travelling to the places of your choice. Everybody needs a break, and a limited budget should not stop you from taking one. 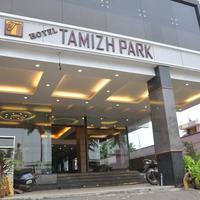 Pondicherry is one such place that welcomes people with varying budgets. 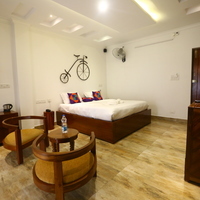 It offers numerous accommodation options to suit all budgets ranging from affordable homestays, guest houses and cheap hotels to luxury star hotels with a high price tag. 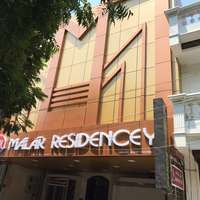 The attractions and beaches are the same for all, irrespective of whether you stay in a 5-star or a budget hotel in Pondicherry. So focus on enjoying and look for a decent stay that suits your pocket. 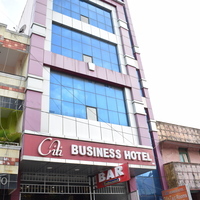 A budget hotel is ideal if you are a single traveller or a backpacker. After all, how much time are you really going to spend in the hotel? The hotel is your temporary accommodation, a place where you need to store your luggage and come back to after a long tiring day to get some much-needed rest. They are also good for families. 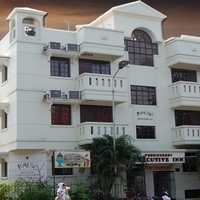 Pondicherry is a beautiful French colony, and there is so much to do and see in this peaceful city. You can shop for textiles, leather, furniture, pottery, and so much more. You can sample the local cuisine or taste French delicacies at any of the little cafes and restaurants. Pondicherry has something for everyone. Plan your trip with Cleartrip, and make it a hassle-free experience, which you will remember for years to come. 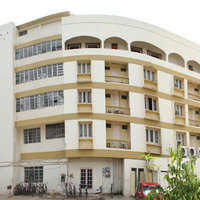 You can choose your accommodation in Pondicherry as per your need and location preferences. 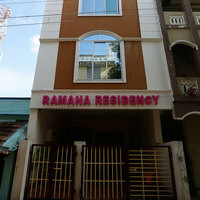 You can stay close to the beach, in the city centre, near the Aurobindo Ashram, or near the airport or railway station. 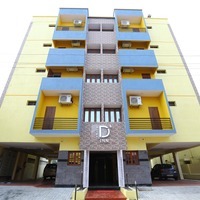 At Cleartrip, you can find an accommodation in various Pondicherry localities in your budget. These offer all the amenities you need for a comfortable stay. 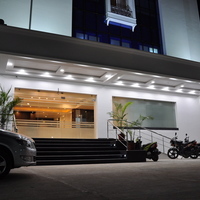 Most budget hotels in Pondicherry offer all the basic facilities, such as room service, hot water, parking facilities and more. 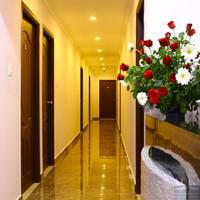 You can choose from the option of AC or non-AC room in some properties. 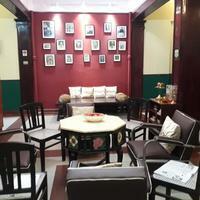 Some of these budget hotels may even offer laundry services and wi-fi, and may also have an in-house restaurant. 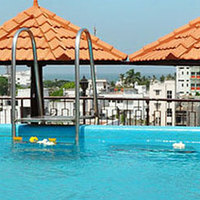 However, while booking your accommodation do check the list of facilities the hotel has. Because these properties are relatively smaller as compared to 4-star or 5-star hotels, they generally do not have a swimming pool. Most budget hotels also offer complimentary breakfast, though it may not be a very lavish one. However, they may be happy to customise something for you if you have any preferences. If sight-seeing and exploring the city are your main agenda, then these budget hotels are perfect for you. 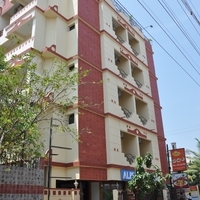 At Cleartrip, we have many budget hotels in Pondicherry listed with us. 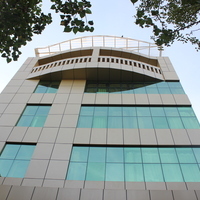 It is best if you plan your trip wisely and book your stay in advance. The Early Birds Get a Good Deal! The sooner you plan your trip and book your accommodation, the more stress-free your trip will be. 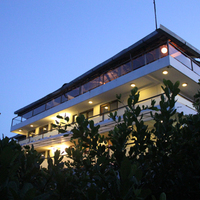 We have a large number of budget hotels listed on its website to help you make your choice. You can choose the location which suits you the best. 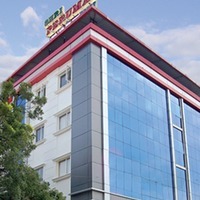 You can also choose your accommodation as per the facilities you require; Booking through Cleartrip is an extremely easy and hassle-free experience. 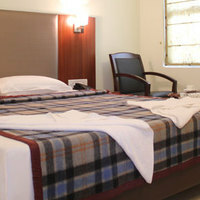 It is always a good idea to go through customer reviews for the hotels you have shortlisted. These will help you make up your mind regarding the property you should book. 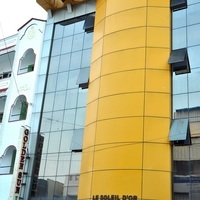 Some of the popular budget hotels you could have a look at are The Bull Boutique Hotel and the Vox Sippi. 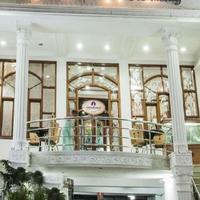 Both these hotels are quite reasonable and will provide you with the basic facilities you need. Villa Bayoud is also a good budget option. If you plan your trip in advance, you can avail the many cashback offers and discounts that we offer. Happy Holidaying!